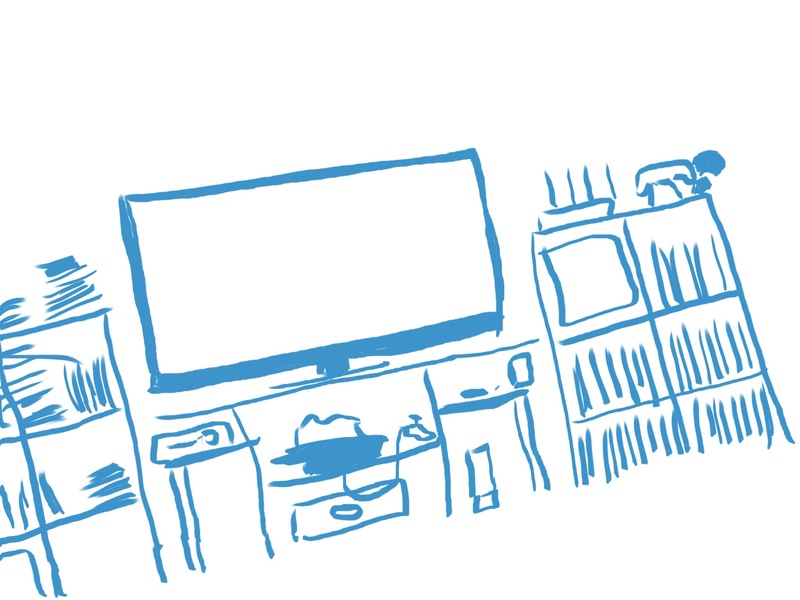 Our very own Entertainment Center, sketched with me sitting at an angle – not the room. Long Running Media Franchises and Trends: Do Geeks Get Burn-Out? – The Sunday Re-Blog! 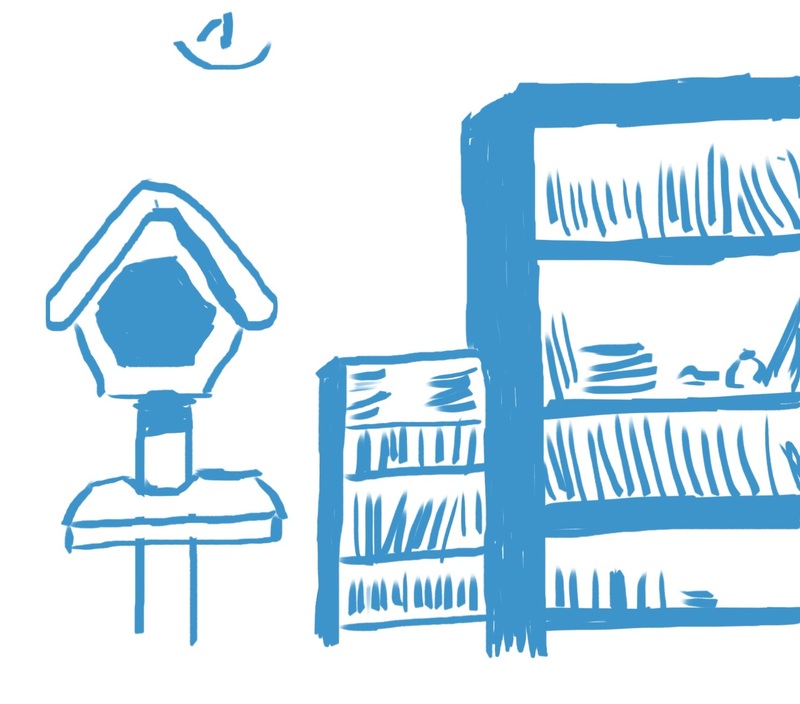 Great post – what do you think about burnout for the things you enjoy? I put a lot of thought into it… hence my really long comment! I’ve noticed that I get sick of long running franchises (and even entire genres) a lot more quickly than most of my geeky friends seem to. I’ve always known that there was a point at which I would just be “done” with something and not be able to tolerate watching, reading, or even really hearing much about it anymore. The first time it happened to me was with He-Man and She-Ra back in the 80s. As much as I loved them, I Just. Couldn’t. Take. Anymore. After a few weeks of this meme, I guess this brings us to the serious question… where the heck is Barton? Here’s a shot from the trailer for Avengers: Age of Ultron, and it seems like maybe a flash to where he has been. Where the heck? Well, I have at least one theory: The North. Tapping into one of the great memes. Do you think I found a picture that works for a replacement? 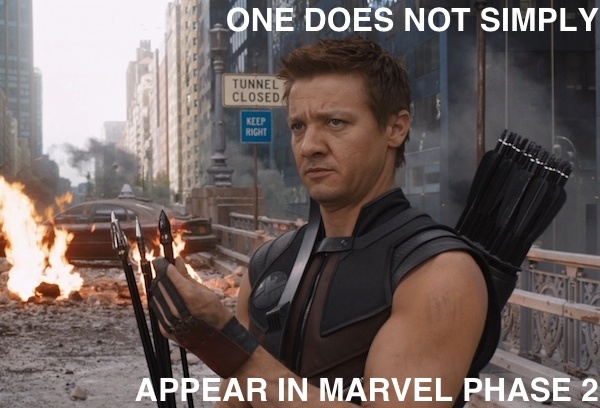 Thoughtful Hawkeye? 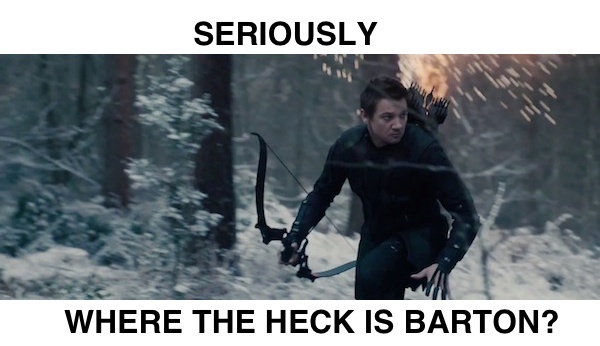 For November, I am going to run with a meme series that I have been thinking about, “Where the Heck is Barton?” It’s a reference to the fact that in the Marvel movies since The Avengers, Clint Barton – Hawkeye – has not shown up at all. 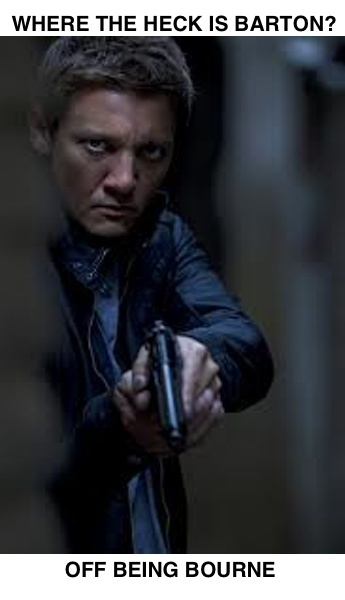 Supposedly this will all be explained in Avengers: Age of Ultron, but in the mean time, I’ll be exploring a few of my theories on where he’s been. 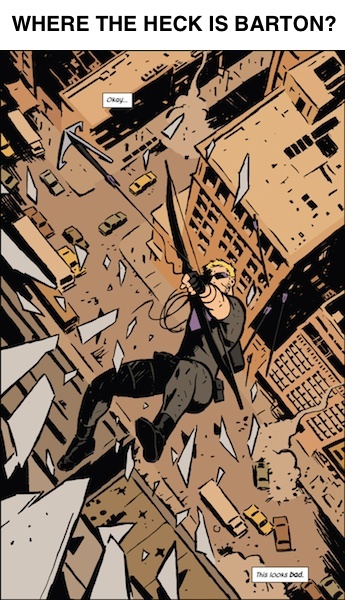 This one is from Hawkeye #1, which if I were going to recommend a fun comic to you, this one might be the one. Every issue opens pretty much exactly like this.